-Looking at two different payment options. All up front or in 3 payments over the course of the sub. -They are considering shipping two of the figures at a time to save on shipping costs. -Production numbers will be based on the pre-order. 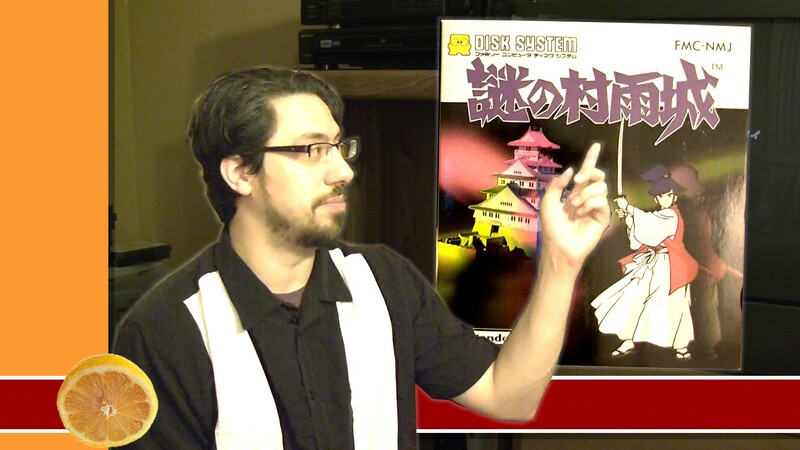 Everyone that wants the FSS will have a chance to get it. -Production numbers will be slightly higher than the pre-order to allow for extras to be sold at a steep mark-up to those who did not purchase the FSS. -Figures will not be given collector boxes due to price. There is basically something in this set of figures for everyone. They do not have the actual figures in hand yet to take pictures of so some of the slides are the result of some heavy photoshopping to give us a fair idea of what to expect. 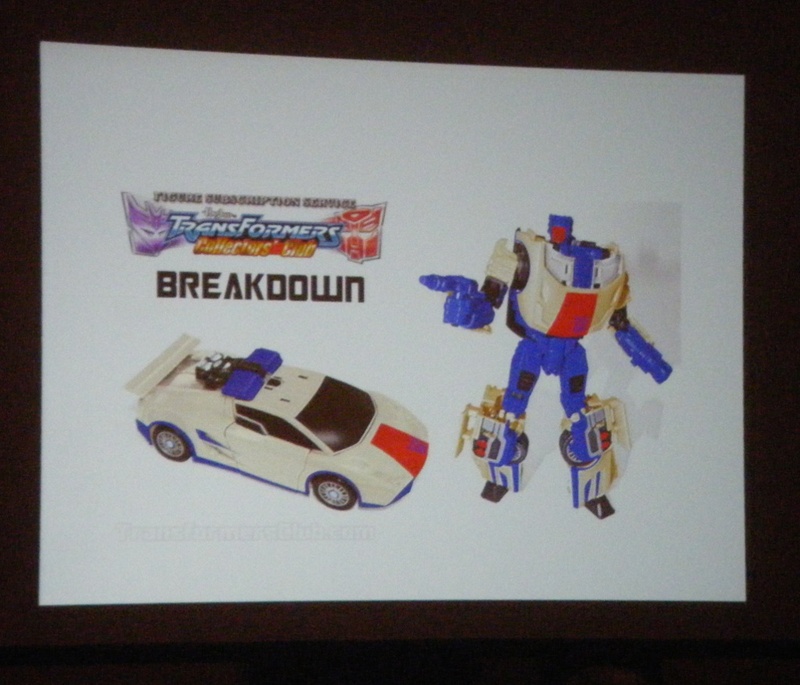 The first figure announced was a G1 colored version of Breakdown using the Classics Sideswipe/Red Alert mold. Its not clear if the mold is actually Red Alert’s or Sideswipe’s. 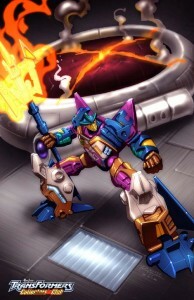 I am under the impression that this is simply a repaint of the 2010 Botcon Exclusive G2 colored Breakdown. After the G2 version, there was a lot of requests from fans for a G1 version. The interesting part of this exclusive is that it goes counter to previous statements that once new tooling has been used for an exclusive, it is then destroyed and no longer usable for future production runs. It looks like this figure uses the same head as that figure from the G2 set, though. Food for thought. I believe this will be Breakdown’s fifth appearance as a Botcon exclusive. 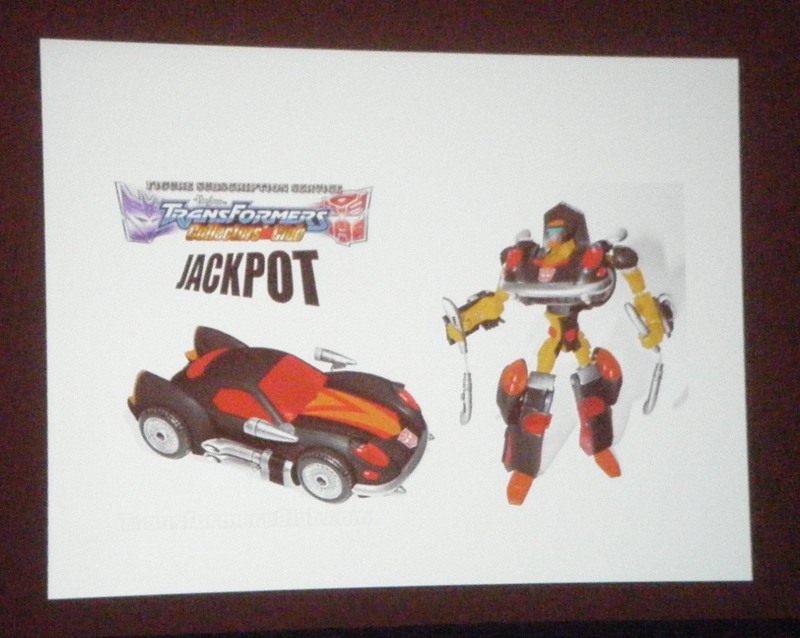 Animated Jackpot was the second figure announced. He will use the Animated Jazz mold with a retooled head. Derrick Wyatt put together a color sheet for the figure along with a design for what we believe is a new head. It looks like the slide is a picture of the figure with the new head’s drawn design placed on the photo. The original Jackpot was a G1 Action Master. Some fans were upset this year to find out that one of the Botcon 2012 souvenir sets used the RTS G2 Optimus Prime mold for a Shattered Glass Optimus Prime instead of a RID Scourge. 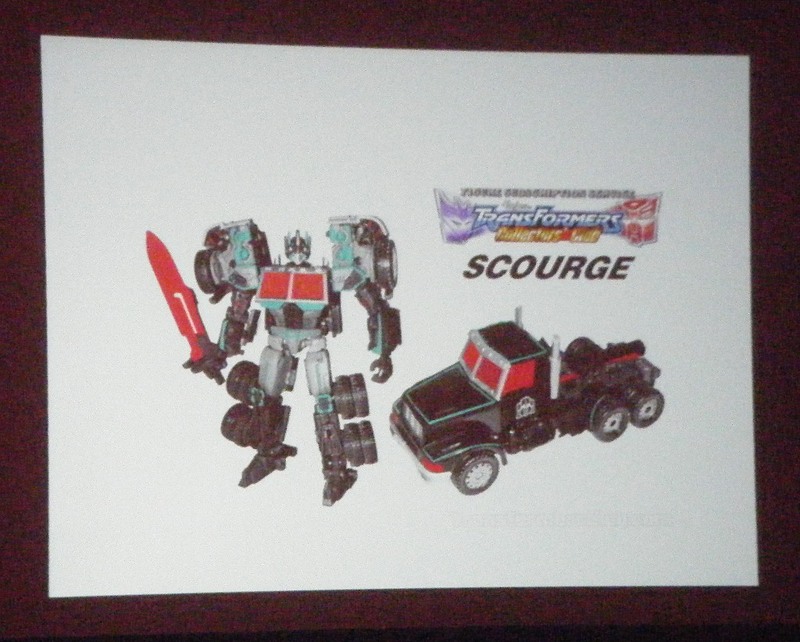 The small outrage was soon dashed as RID Scourge became the third figure announced for the TF FSS. 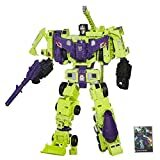 Not only is the figure in the appropriate colors for the character, but he also features that styling upside down G2 Autobot logo. Well played, Fun Pub. Well played. Seeing a Transformers Prime mold in the line-up was a bit of a surprise, but not as much of a surprise as the character selection. 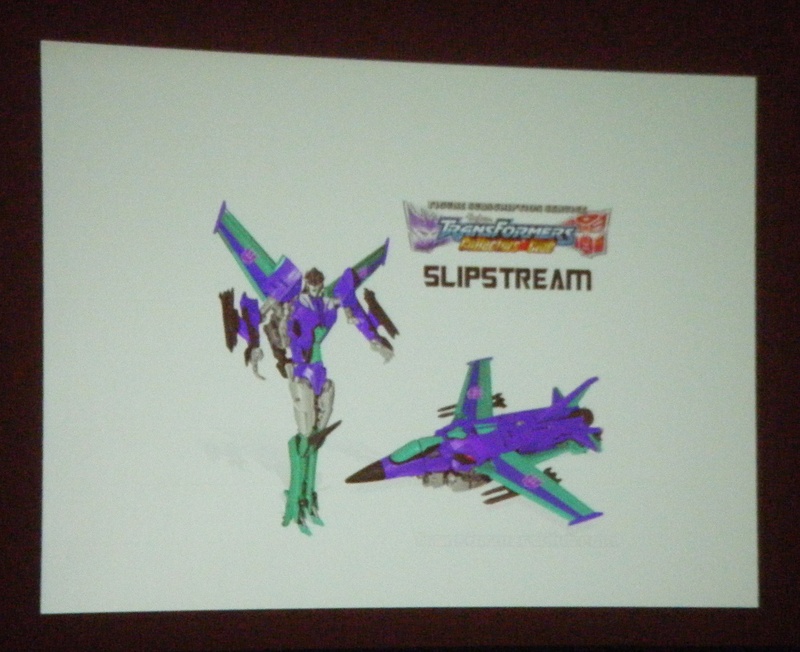 Starscream’s female clone, Slipstream, appears to use the well-received First Edition mold of Starscream. She will feature a new head whose composite design was photoshopped into the picture in the slide. Circuit was a choice that left a number of fans scratching their heads. Circuit was a G1 Action Master released only in Europe. He is a repaint of the European only Action Master Axor. 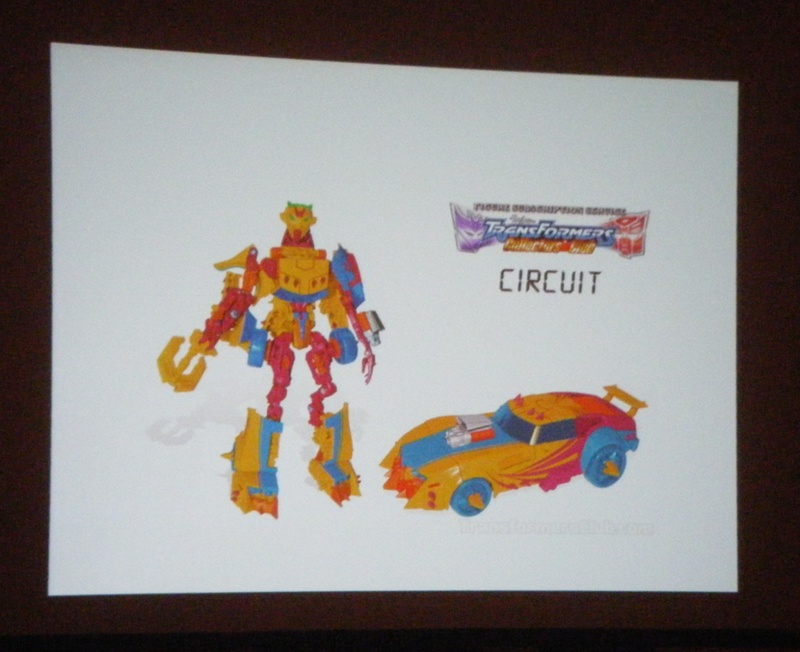 Appropriately, the FSS Circuit will be a repaint of the Generations Axor (which was a retooled version of the Generations Lockdown figure). Still with me? Circuit features a pretty amazing paint deco that almost puts him in G2 levels of awesome decos. For more information on Circuit, go here. 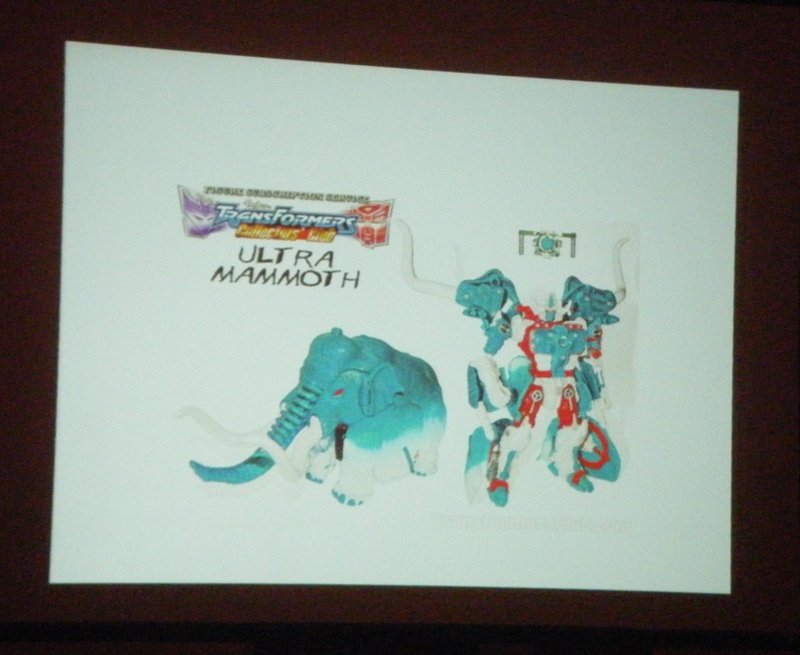 The final announcement of the FSS was Ultra Mammoth. He is a straight repaint of the Beast Wars Neo Big Convoy/Transformers Universe Nemesis Prime. It’s much larger than the other deluxe figures in the service. He is more of an Ultra class or Voyager class figure. The slide pretty much speaks for itself. 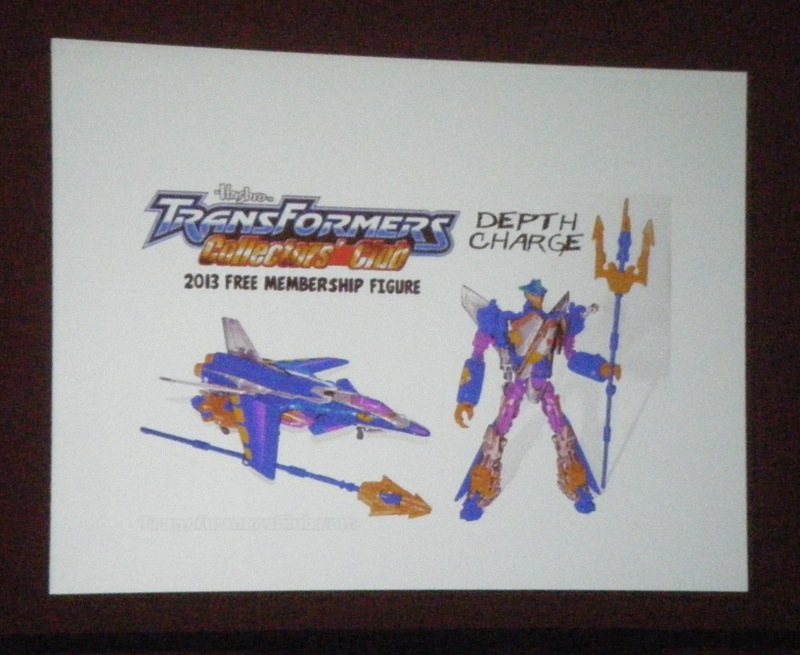 The final big news of the panel was the announcement of the 2013 free membership figure, Depth Charge. If you sign up for a club membership for next year, you will receive Depth Charge for free. He uses the Terradive mold. 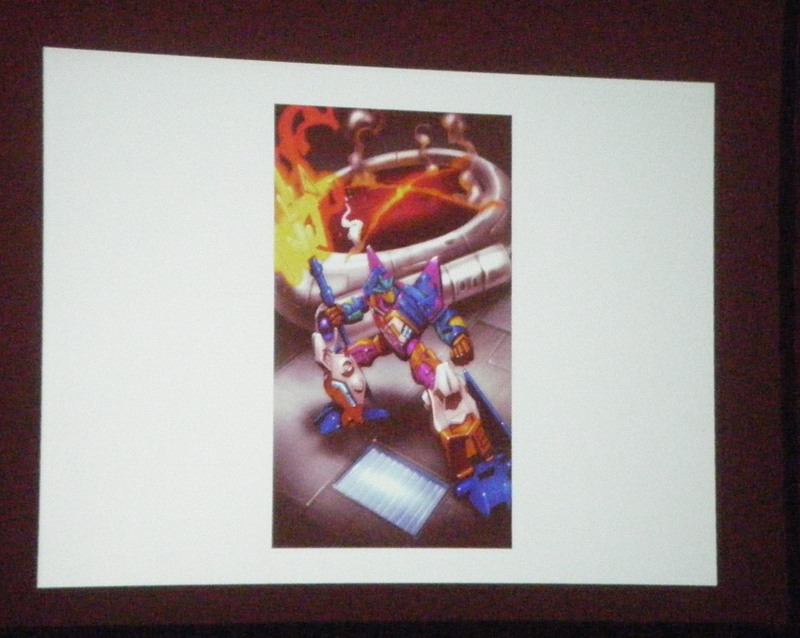 Some new art was shown off after the figure reveal showcasing Depth Charge in front of Protoform-X. yakko of iaconhub.com got some video of the reveals and you can hear some of Pete Sinclair’s commentary as well. Did you like the club announcements? Did you hate them? Are you still confused by half of them? Let us know what you think in the comments! Wholly awesome!!! I wish these were in-store instead of Botcon TF’s!